Bangor, PA/Press/January 28, 2019 – Professor Earl W. Hulihan, Owner of Professor Earl W. Hulihan Consultancy was recognized as a Top Professional of North America 2019 – 2020 by The Who’s Who Directories. The accomplishments attained by Professor Earl W. Hulihan in the field of Medicine, warrants inclusion into the Top Professionals of North America. Earl Hulihan is an esteemed teacher, speaker and writer with five decades of experience. He has been recognized for showing dedication, leadership and excellence in medicine and health care consulting. Professor Earl W. Hulihan has more than 50 years of experience in clinical, medical research and teaching. He is the owner of Professor Earl W. Hulihan Consultancy, an internationally recognized provider of advice and consultative services to the global medical and regulatory community. He was recently recognized as an “expert in his field” as well as a “scientific expert” by several International regulatory authorities. His performance of over 750 international audits is a testament to the strength of his knowledge, experience, and reputation in the Quality, GXP, Medical and Regulatory domain. Professor Hulihan graduated from Cheltenham high school in 1967, he continued his education receiving a Bachelor of Science in health and physical education, and a Master of Education from East Stroudsburg University of Pennsylvania. He has been an active professional in medicine (senior positions within clinical and research) and the pharmaceutical industry (senior positions within clinical research, regulatory and quality assurance) since the mid-‘70s. As a result of extensive knowledge and experience, he has often been called upon to serve as a speaker and chairperson for international conferences. Additionally, he has been formally recognized for his achievements. The Joseph P. Kennedy Foundation acknowledged Professor Hulihan with a special award for his guidance and contributions to the development of ‘The International Special Olympics’ program; he was also bestowed with the American Heart Association’s Distinguished Honors Award and the Drug Information Association’s two highest honors – the prestigious Distinguished Service Award, the Founders Service Award, received the Distinguished Alumni Award from his alma mater, East Stroudsburg University of Pennsylvania. Additionally, he is recognized by Who’s Who Among Executives and Professionals, Who’s Who in the Computer Industry, and the Lifetime Achievement Award from the International Association of Top Professionals (IAOTP) for his contributions to the fields of Clinical Research and Medicine. Active beyond his consultancy, Professor Hulihan lectures globally, and serves on the editorial board of the “Guide to Good Clinical Practice,” and on the expert advisory panel for “Good Clinical Practice: A Question & Answer Reference Guide.” He has also contributed to several reference textbooks, including “New Drug Approval Process,” and coauthored “Computerized Systems in Nonclinical Safety Assessment: Current Concepts in Validation and Compliance” as well as “Computerized Systems in Clinical Research: Current Quality and Data Integrity Concepts.” He is currently an Author and the Editor for “Good Clinical Practice: A Question and Answer Guide.” Additionally, he has been a reviewer for the Journal of Medical Systems, and has independently authored countless journal articles throughout his career. Professor Hulihan was Past Church Elder at Bible Fellowship Church. During the early 1970s, Professor Hulihan collaborated with one of the fathers of sports medicine, Dr. Hans Kraus in creating an international program for ‘Back and Neck Pain’. Professor Hulihan currently serves as an associate professor with Rutgers, the State University of New Jersey’s Medical School, as a visiting professor with the prestigious Shanghai University of Traditional Chinese Medicine (SUTCM), as professor with China Pharmaceutical School, and as a visiting professor with the China Food and Drug Administration’s (CFDA) Institute of Executive Development. He is the first Westerner ever to have been appointed to a professorship at either SUTCM or CFDA Institute. 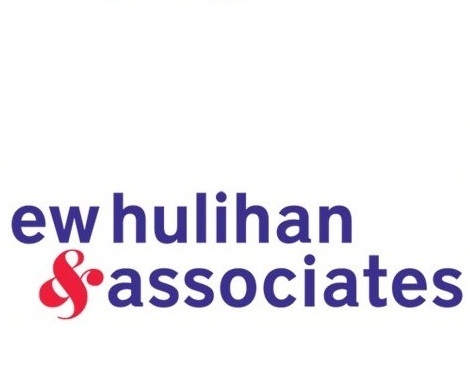 Be the first to comment on "Top Professional – Earl W. Hulihan"